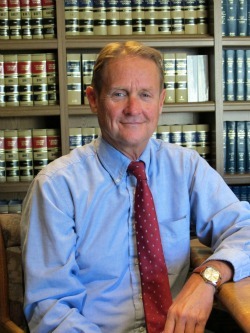 I have been providing general legal services in the Eastern Sierra since 1980. I have earned an "AV" rating from Martindale-Hubbell, the preeminent attorney rating service in the country. The "AV" rating is Martindale-Hubbell's highest rating. Should you have any legal needs in the Mono/Inyo County area, I would look forward to discussing them with you. Timothy B. Sanford will represent your DUI and DWI legal matters. Law School: University of California, Davis, J.D.